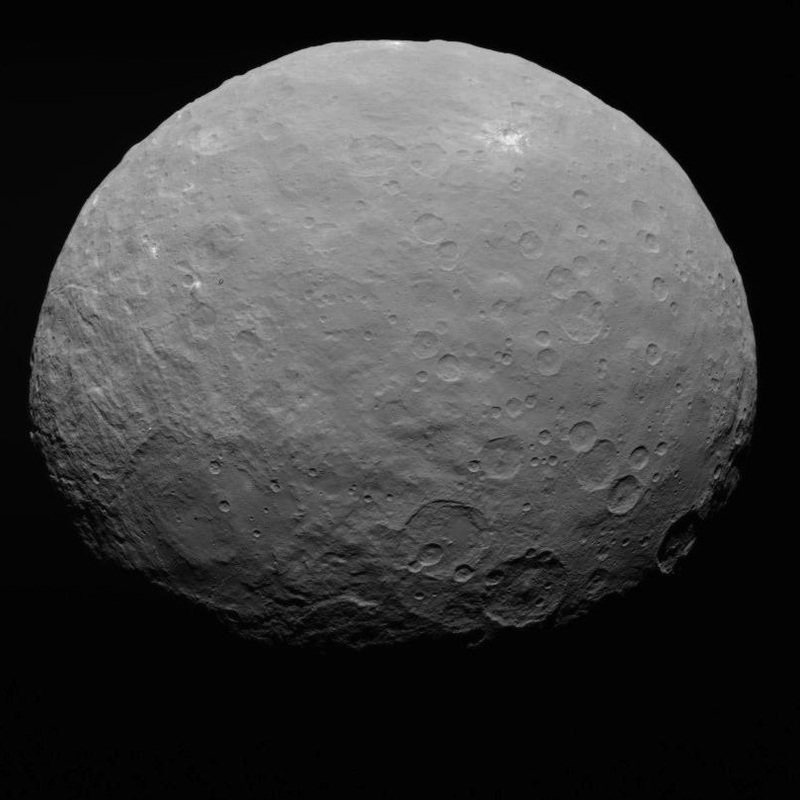 There's yet more evidence to add to the growing pile of oddness and geological mystery that is the 'king of the asteroid belt': The dwarf planet Ceres. Above: The battered and unassuming surface of Ceres - yet one that has turned out to be baffling. Image courtesy of NASA/JPL. We've already found out, from space telescopes and the phenomenally successful Dawn mission, that there's evidence of water vapour escaping it's surface, that surface having been modified by ammonia, and bizarre bright spots and fogs in some of its craters. Above: Dawn's close up of the strange bright deposit at the centre of the Occator crater - a patch that seems to be associated with water-related geology, and ephemeral mists..
Now we can add to that geochemical evidence for there having been briny flowing water near the surface, for at least some of it's history. 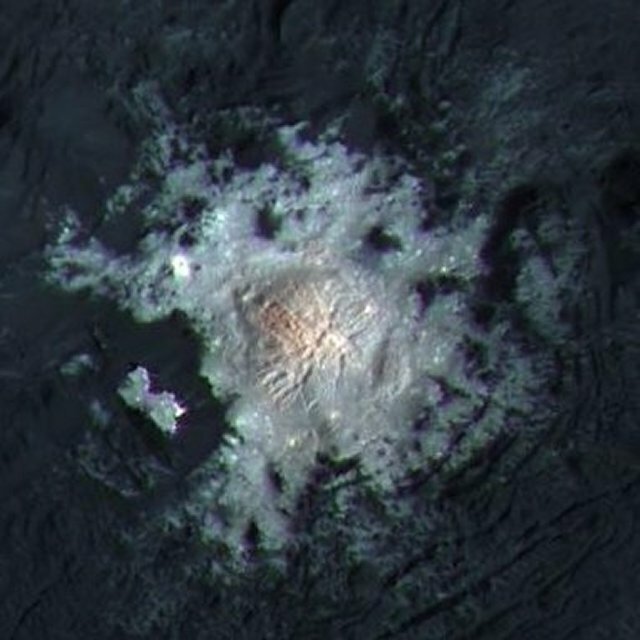 The evidence comes as carbonate deposits in Occator crater which, not coincidentally, is the one with both the bright spots and the mysterious fog patches. These deposits suggest that briny liquid water flowed near the surface at some point. That water could have been due to heat from major impacts, or warmth from the little worlds own warm core. 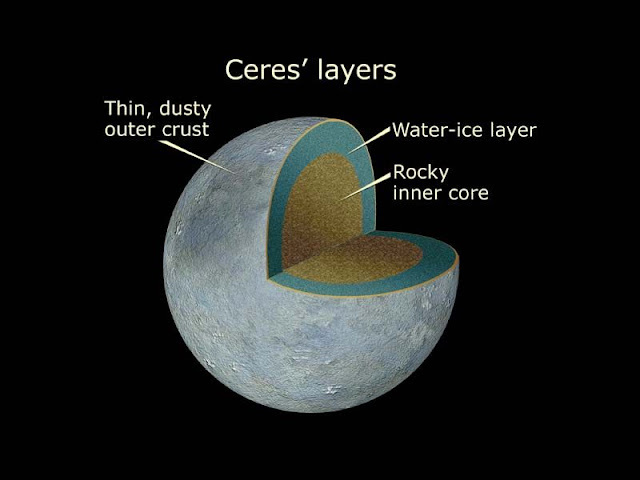 Above: An artists impression of the interior of Ceres. It makes yet another indication that the teeny dwarf planet probably had conditions suitable for life's chemistry at some point.